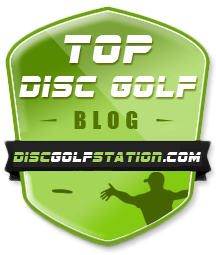 The School of Disc Golf blog has been recognized as being among the top five disc golf blogs by online retailer discgolfstation.com. Additionally, the top spot was awarded to rattlingchains.com, where all School of Disc Golf blog posts appear and for whom the founder of School of Disc Golf is the instructional editor. We’re proud to be recognized for doing what we are impassioned to do: bringing the message of disc golf to the masses.